Discover your friendly, local hardware store in Shelton, Washington. 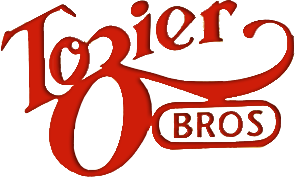 Tozier Bros has been serving our community for more than 125 years. We're still at the same location, and we still offer a fantastic selection of hardware, building supplies, and household goods. We're a true community fixture, and we're proud to continue our legacy of great products, low prices, and amazing customer service. Find the right tools for the job at Tozier Bros.
Tozier Bros is Shelton's trusted source for hardware, building supplies, household goods, and more. Whatever you need, you'll find in our well-stocked store. We sell everything from Ace™ hardware to Kubota™ tractors at great prices. As an independent business, we are able to offer more specialized products and a better shopping experience than our competitors. Our friendly, knowledgeable staff members are always happy to help customers find what they need. If you need guidance or advice, just ask! We have a lifetime of experience in hardware, so we know the products and brands that customers love. It's no wonder the Mason County Journal voted us the county's best hardware store in February 2016. Tozier Bros is a member of the National Retail Hardware Association, the Pacific Northwest Implement Association, and the Ace Hardware Coop. We are also a part of the Shelton-Mason County Chamber of Commerce and our local Rotary Club.